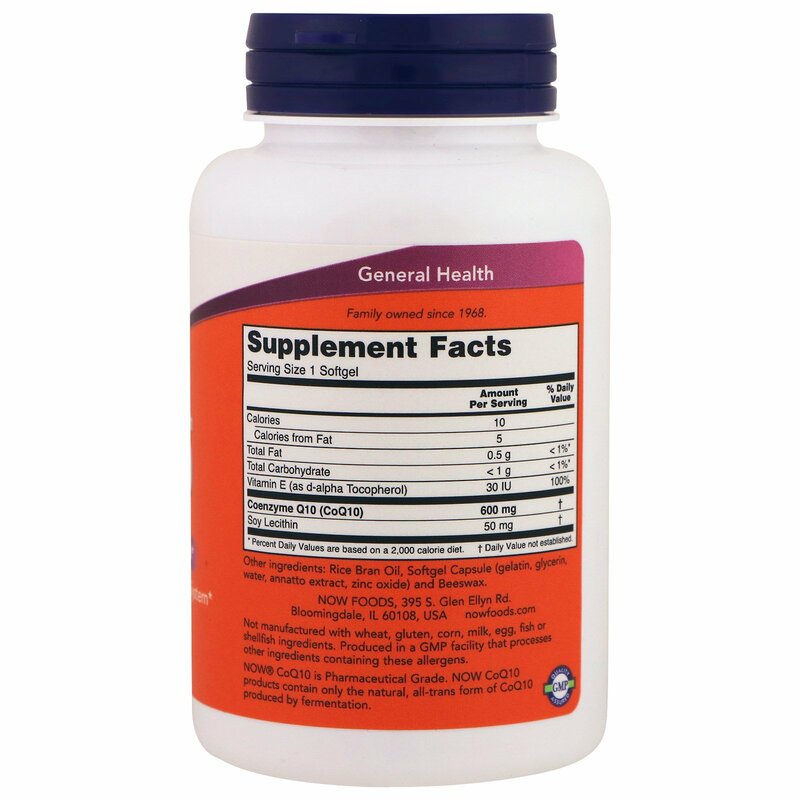 Coenzyme Q10 (CoQ10) is vitamin-like compound that plays a central role in cellular energy production. CoQ10 is found throughout the body, but is especially concentrated in the heart, live and kidney and production has been found to decline with age. CoQ10 works with vitamin E as a potent free radical scavenger in cell membranes, as well as within blood vessels. 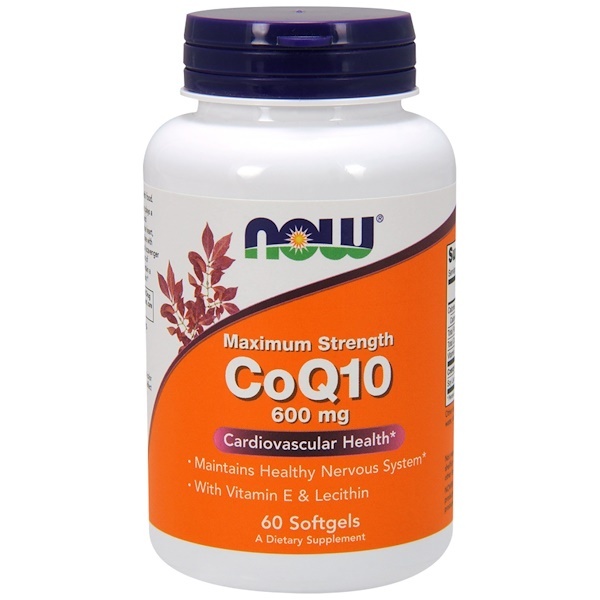 Years of scientific research have shown that CoQ10 helps to maintain a cardiovascular system and normal nervous system function. Due to size of softgel, take with 8 oz of water or other beverage. Rice brain oil, softgel capsule (gelatin, glycerin, water, annatto extract, zinc oxide) and beeswax. Not manufactured with wheat, gluten, corn, milk, egg, fish or shellfish ingredients. Produced in a GMP facility that processes other ingredients containing these allergens. Separation and color variation in the softgel is natural and doesn't affect product quality. 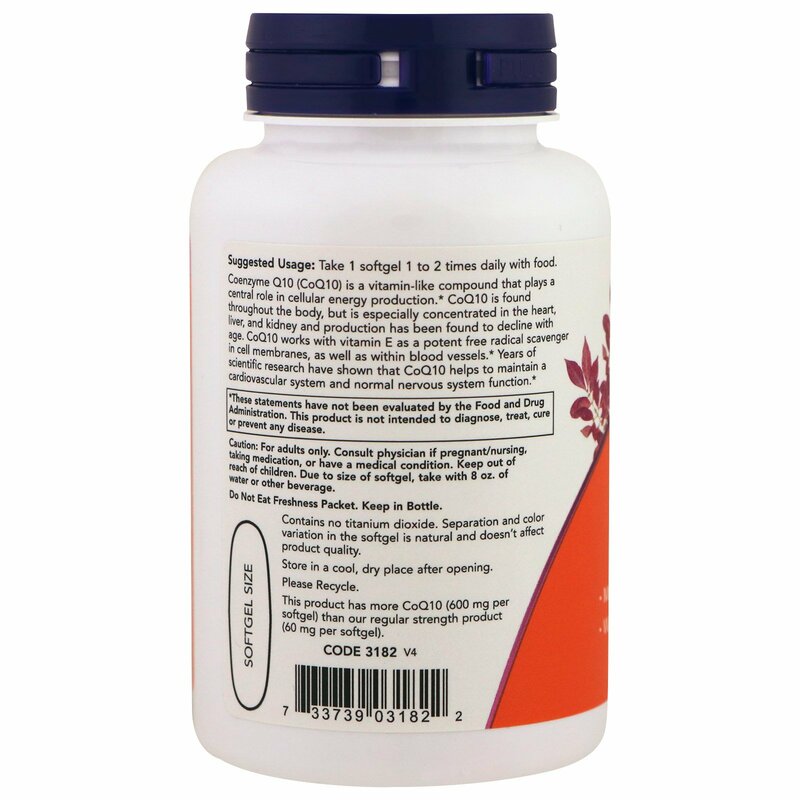 This product has more CoQ10 (600 mg per softgel) than our regular strength product (60 mg per softgel).